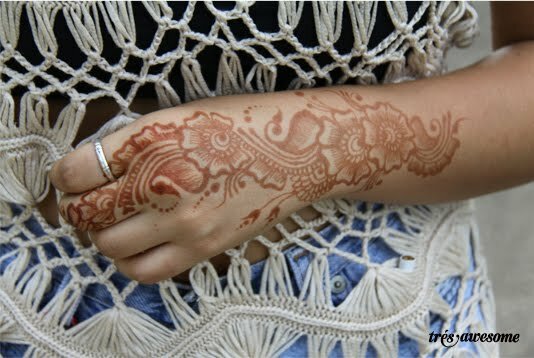 Stefania's ornate henna tattoo is just exquisite. This hair is too cool. A tough style to pull off, Stefania wears it well. This Chicago street style was captured at Union Park at the Pitchfork Music Festival. Totally agree. It's a big commitment, and she is rocking it.